“Without music, life would be a mistake,” observed German philosopher Friedrich Nietzsche. 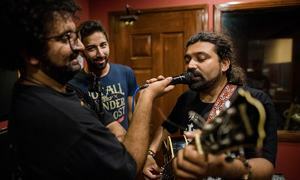 But listening to remixes of folk, semi-classical and devotional music recorded by Coke Studio, one realises that its producers might be making a mistake by not following the basic norm of musical tradition in the Subcontinent. Nearly all the productions are dense with instrumentation. Supremacy of instruments may be the norm in the West, but in eastern tradition, instruments usually follow a vocal rendition, which remains the highlight of the piece. This is in no way meant to imply that the Subcontinent lacked assistance of large orchestras, as music virtuosos like Naushad and Nisar Bazmi employed hundreds of musicians in recording their songs. But the instruments always remained subservient to vocals. Western music is harmonic, played with neighbouring notes to lend a fuller feel. Our music, on the other hand, is melodic and essentially linear, putting an emphasis on the impression of a note. Coke Studio’s remixes remind one of the vast repertoires of popular film music that was a logical extension of folk music as it was the base that shaped the ragas employed by popular music. Film music created during its golden age between 1945 and 1965 is firmly rooted in the psyche of our people. The folk lore it is based upon overwhelmingly belongs to the north-west parts of the Subcontinent, predominantly Punjab, Sindh and Khyber Pakhtunkhwa. Musical traditions of the southern parts of the Subcontinent such as Carnatic music are radically different. Two very well-known ragas emerge dominant in a good deal of folk emanating from the north-west: Pahadi and Bhairavi. Their common templates are capable of fitting in infinite music. Folk often distinctly exudes Pahadi pathos while Bhairavi in the Subcontinent is usually rendered in Sindhi tenor. Pahadi, part of Bilawal Thaat, is more of a dhun that is lilting, elegant and delicate. Owing to its Himalayan origins it became the base of a rich cultural heritage of folk along with Mand from Rajasthan and Pilu from north-west India. Its haunting melody and deeply expressive notes made it into a sort of ‘patron’ raga of Punjab, and since a considerable number of legendary composers of film music belonged to Punjab, Pahadi acquired primacy in musical numbers. The golden age of popular film music ushered in by the three-minute (78 RPM) recording discs opened multiple doors to create, innovate and present music to a wider audience. Music became an essential ingredient of expressing sentiment on the silver screen and the mushrooming film industry took advantage of this inimitable source of expression. The induction of playback singing gave it a novel angle that became the standard format of popular music rendition. The preponderance of music in films is evident by the fact that, on an average, every movie still contains eight songs suiting all situations. By the mid-1940s, Punjabi folk replaced Marathi Bhavgeet and Bengali Rabindra Sangeet as the refreshing flavour of popular music. In the vanguard of this musical revolution was Narowal-born Master Ghulam Haider, a dentist by profession, who for the first time employed Punjabi folk accompanied by dholak. His freewheeling style changed popular music forever. Although he scored music for only 216 songs, he set an irrevocable trend along with giving a break to Noor Jehan and Lata Mangeshkar. Even the partition of the Subcontinent failed to tone down the hold of north-western musical advance dictating popular music as all leading composers in Lahore and Mumbai – Rasheed Attre, Master Inayat Hussain, GA Chishti, Khwaja Khurshid Anwar, A Hameed, Nashad, Nisar Bazmi and Sohail Rana in Lahore, and their counterparts OP Nayyar, Madan Mohan, Roshan, Khayyam, Naushad and Ravi in Mumbai – belonged to the north-western part of the Subcontinent, particularly Punjab. 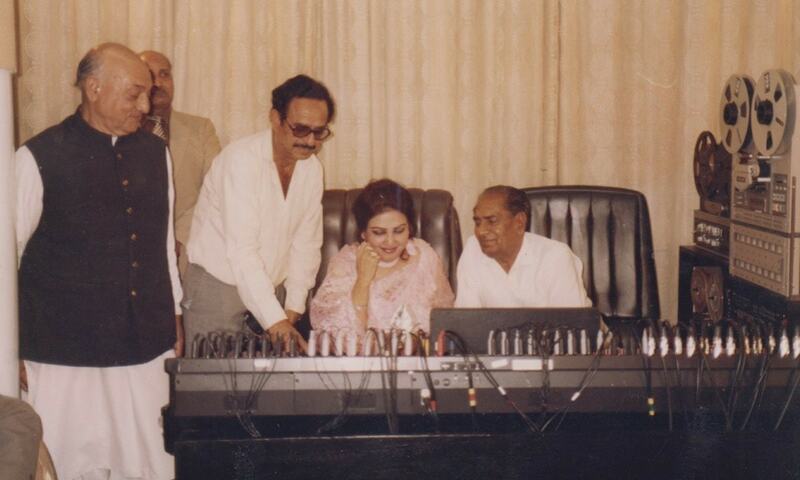 Lahore, a centre of popular music, produced thousands of songs composed by eight leading music maestros: Rasheed Attre, A Hameed, GA Chishti, Khwaja Khurshid Anwar, Master Inayat, Nashad, Nisar Bazmi and Sohail Rana sung by artists like Noor Jehan, Saleem Raza, Zubaida Khanum, Mehdi Hasan, Mala, Ahmed Rushdi, Masood Rana and Naseem Begum. In Mumbai, Lahore-born OP Nayyar, Madan Mohan from Chakwal, Gujranwala-born Roshan, Delhi-born Ravi, Lucknow-born Naushad and Jalandhar-born Zahoor Khayyam composed songs mostly sung by Muhammad Rafi, Shamshad Begum, Soraiya, Talat Mehmood, Lata Mangeshkar and Asha Bhosle. Popular music was also indebted to valuable contributions by SD Burman, Shankar-Jaikishan, Laxmikant-Pyarelal, Chitragupta, Husnlal-Bhagatram, Kalyanji-Anandji, Ghulam Mohammad, C Ramchandra and Hemant Kumar. The principle formation of our popular music is the mukhra-antraa style derived from folk music. In addition, it is also deeply influenced by Persian musical expressive modes comprising all genres associated with it such as ghazal, nazm, geet, qawwali and naat. Its base is essentially classical as its proponents were largely influenced by vocal or instrumental classical wizards such as Bade Ghulam Ali Khan, Ustad Amir Khan, Ustad Vilayat Khan, Begum Akhtar, Amanat and Fateh Ali Khan, Ravi Shankar, Alla Rakha (as A R Qureshi), Ustad Abdul Halim Jaffer Khan, Pannalal Ghosh, Shivkumar Sharma, Hariprasad Chaurasia and Bismillah Khan. Music composers looked to Ghalib for poetic inspiration (Ghulam Mohammed scored music in the biopic of Mirza Ghalib in 1954), elevating Urdu to the level that it became – for the first time – a true representative of the linguistic identity of the Subcontinent’s inhabitants. In popular music, melody reigns supreme in whatever context it is woven and Pahadi has proven adaptable to all modes. Our composers have gone to Pahadi for inspiration again and again and it has never sent them back empty-handed. Noor Jehan rendered her breakthrough numbers Jawan hai mohabbat and Awaz de kahan hai in Pahadi. Roshan composed his megahit Jo wada kiya woh nibhana parega, an anguish personified as mighty Emperor Shahjahan could only express a forlorn wish for reuniting with Mumtaz Mahal, in Pahadi. OP Nayyar brought the tantalising versatility of Pahadi in his Ishaaron ishaaron mein dil lenewale while Ravi went one up on him by composing Chaudhvin ka chand ho. Khayyam could not remain behind and enveloped exuberant sentiment in Baharo mera jivan bhi sanwaro which Naushad turned upside down by his Suhani raat dhal chuki. The best exposition of Pahadi, however, is Rashid Attre’s Aye mausam rangeele suhane which is part of our national lore. 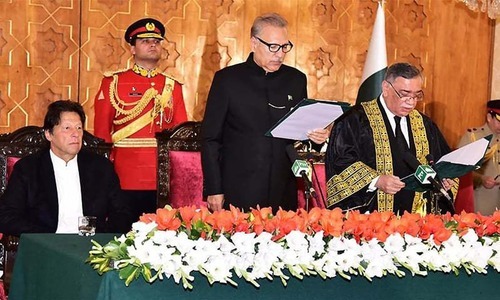 Pahadi also produced some outstanding ghazals by veteran singers such as Baat karni mujhe mushkil kabhi aisi tou na thee by Mehdi Hasan and Dil mein aik lehr si uthi hai abhi by Ghulam Ali. Apart from Pahadi, the golden age of popular music produced compositions in countless ragas, particularly Madan Mohan composing a compendium of ghazals: Meri yaad mein tum na aanso bahana in raag Jaunpuri and Hum se aya na gaya in raag Bageshri, both sung by Talat Mehmood, and Hai isi mein pyaar ki abroo in raag Charukeshi sung by Lata (Naushad was reported to have offered Madan Mohan his entire portfolio in return for this ghazal). Roshan Lal Nagrath from Gujranwala (grandfather of Bollywood superstar Hrithik Roshan) served as assistant to Khwaja Khurshid Anwar and ventured into the Sufi field of Qawwali by composing two ground-breaking tracks Na tou karvaan ki talash hai and Nigahen milane ko jee chahta hai. His versatile genius is credited with producing the Mun re tu kahe na dheer dhare composed in raag Aiman and written by Abdul Hayee, better known as Sahir Ludhianvi. Khwaja Khurshid Anwar was the doyen of Pakistani composers. He made his mark in united India as the king of intricate microtones and meend (gliding from one note to the other). His unique style of haunting music is evident in Mein ne tujhse pyar kyun kiya and Jis din se piya dil le gaye, in raag Miyan ki Todi, sung by Noor Jehan and Mujh ko awaz de tu kahan hai, set in Bhairavi, by Mehdi Hasan. Anwar’s Punjabi composition, Sun wanjli di mithri tan we is an amazing display of flute-guided expressive sentiments. Anwar gifted Roshan his song Woh rooth gaye dil toot gaya sung by Geeta Dutt which Roshan used as Dil tujhe diya tha rakhne ko sung by Mukesh, proving an instant hit. In Pakistan, Anwar’s only gandaybardar shagird (formal disciple) was no other than Wazir Afzal, whose remarkable composition Ja aaj taun mein teri tun mera in raag Aiman earned approbation from Naushad while his raag Darbari-based Kehnde ne naina has been frequently remixed. Shaukat Ali Nashad was another stalwart of united India who composed remarkable numbers. His composition Jadoogar balma in raag Darbari sung by Amirbai Karnatki is considered a breakthrough in expressing female feeling directly, reflecting evolving urbanised pattern instead of couching it in rural parlance and symbolic nuance such as Panchi bawra chand se preet lagaye, a very attractive raag Kedara composition written by Gujranwala-born lyricist DN Madhok (Naushad Ali also composed a gem in this raag More sayyanji utren ge paar ho nadiya dheere baho). Nashad is credited with composing the gripping ghazal Tasvir banata hun, tasvir nahin banti that became the signature song of Talat Mehmood. 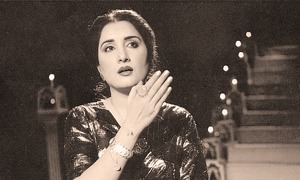 Nashad also composed a remarkably subtle duet sung by Noor Jehan and Mehdi Hasan often heard on television as Aap ko bhool jayen hum itne tou bewafa nahin and the most potent of Mehdi Hasan’s renditions Zindagi mein tou sabhi pyar kiya karte hain in raag Bhimpilasi. 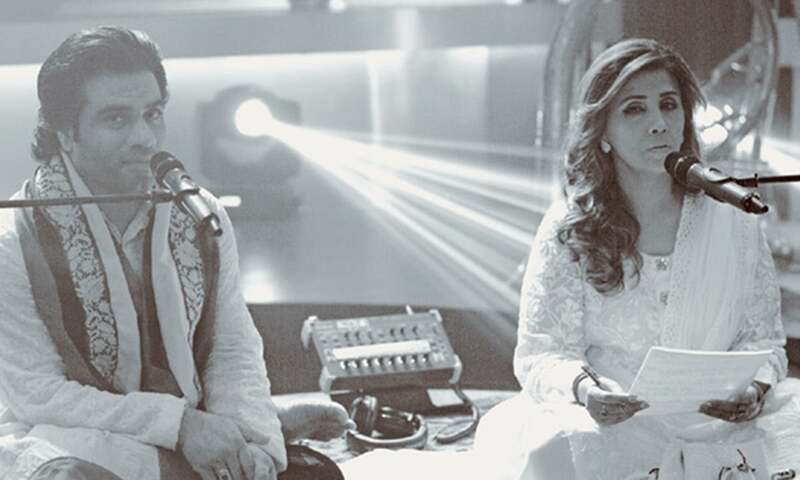 The aura of popular music is such that the rendition on television of Rasheed Attre’s Banwari chakori proved the stepping stone to stardom for Sajjad Ali. The vital missing link between the current music and that of yesteryear is the lyrical content. The songwriters of the golden age spouted lyrics at the drop of a hat, giving exceptional ring to mundane expressions such as Pyaar kiya tou darna kiya, Akele na jaana and Aaj jane ki zid na karo. Surprisingly earlier generations would conveniently figure out complicated lyrics such as Tarke ulfat ka sila paa bhi liya hai mein ne written by Qateel Shifai and composed by Master Inayat Hussain in raag Madhuwanti. No doubt popular music of the past was overwhelmingly based on ragas, but barring a few specific musical scores rendered in traditional classical modes, most of the tracks were sung pretty straight forward with the occasional murki, particularly discernible in Muhammad Rafi whose prodigal talent was hard to restrain from creating an extra space (jagah) in the song. Currently it is considered vital to let vocalists display their classical training. They are made to perform intricate paltas even where they are not required. It probably is to give a mistaken impression that they are very much within the ambit of traditional gaana and have not meandered from the moorings. Excellent article. But do we have that class of artist and musicians. In an express world only express music will survive. Great work! Shahbash. Backgrounds on 'songs', singers and music directors from different parts of sub continent are well presented. Thank you. Excellent and very informative. As rightly pointed out by the writer Coke Studio organizers & music arrangers definitely need to focus on vocal renditions rather than heavy instrumentation. All you said above were absolutely right. However, I think music evolves and changes with time. We should respect that. Beautifully written article, with full knowledge and intricacies of Pakistani music and its genres.